I have been in Doha for almost three weeks now and I have not had the opportunity yet of exploring this new city which I will consider home for God knows how long. 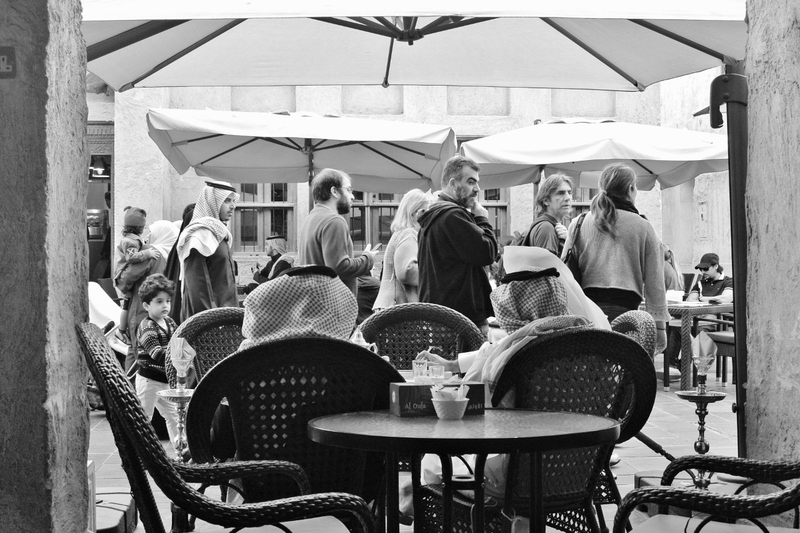 That was until last Saturday when a good friend of mine met me up for lunch and brought me to the ever so famous Souq Waqif Doha. 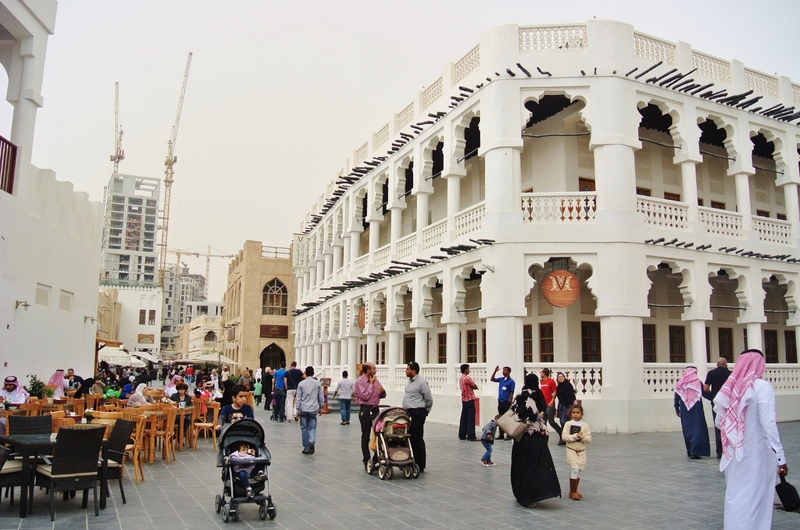 Souq Waqif which literally translates to “standing market” is a popular shopping, entertainment and dining destination in Doha. Art galleries have also started to sprout from the many alleyways of this place which I am yet to explore. 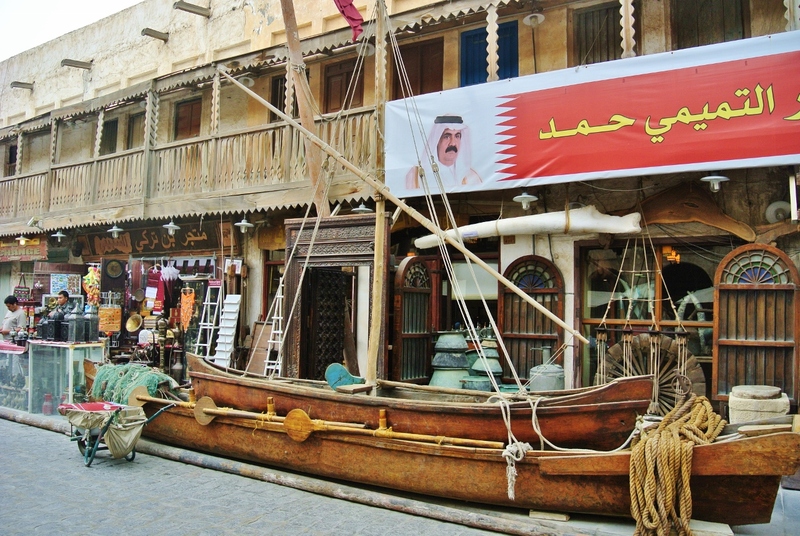 The old style architecture gives you a feel of what it’s like to be in a traditional Qatari fishing village, it will definitely bring you back to that time when fishing was one of the main sources of their livelihood. 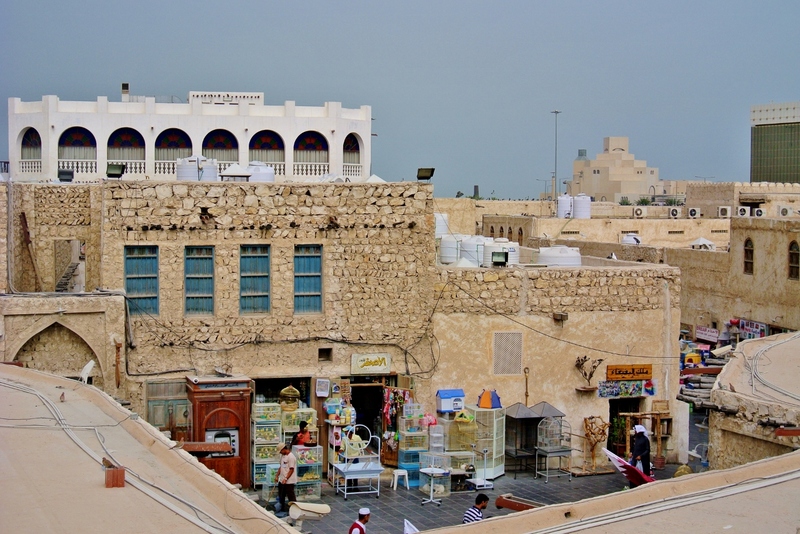 It was a rather gloomy day in the city, quite a rare occurrence in this predominantly sunny place but the smell, the feel and the colors that you can find in Souq Waqif will definitely brighten up your day. One huge alley was centered into dining, where restaurants and coffee shops are lined up. The pathwalk was occupied by the restaurants’ outdoor chair and lounges. It was a Saturday when we went so most of these restaurants were packed with tourists and residents alike. I heard it was nicer in the evening when lights are lit, I made a mental note to go back and have a meal at one of the outdoor second level restaurants so I could get a better view of this rather amazing place. This is definitely one place in Doha one should never ever miss. 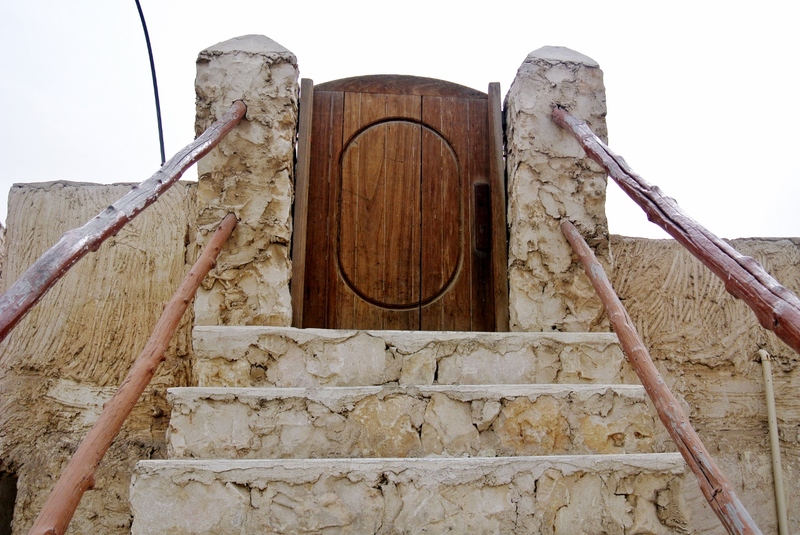 This post is part of the #QatarLinkUp hosted by Polly of Follow Your Sunshine this month. 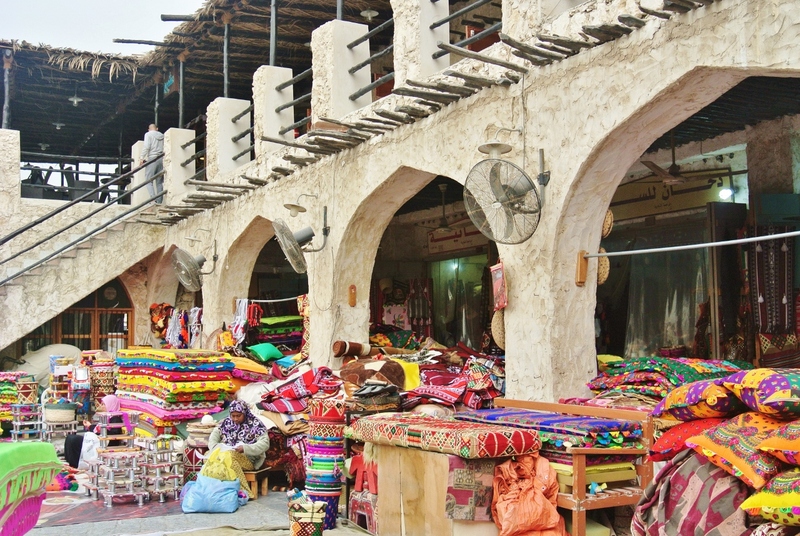 The best thing in Doha is actually this Souq Waqif market, you can get almost every thing from this market. This is a huge one! Beautiful pictures Noemi! It seems like you finally did a “staycation” and explored the city itself. I love how the sand color of all the places; it’s really soothing to me. I have not yet visited any souqs in my travels. The markets look really lively and I really enjoyed your photos. You must have enjoyed photographing the buildings! This post is just so beautiful! I feel like you captured some genuine moments in Doha. I loved flipping through these photos. I think going back to a second floor restaurant looks like the perfect idea – and the perfect tip! Cheers! Looks really nice. I noticed this is one of your older posts – did you manage to go back in the evenings quite a few times already? I love the picture with the pigeons and the black and white one of 2 sheikhs smoking sheeshas. I love sheesha btw, did you try some during your time in Doha? Super cool shots. Your photos are really stunning. 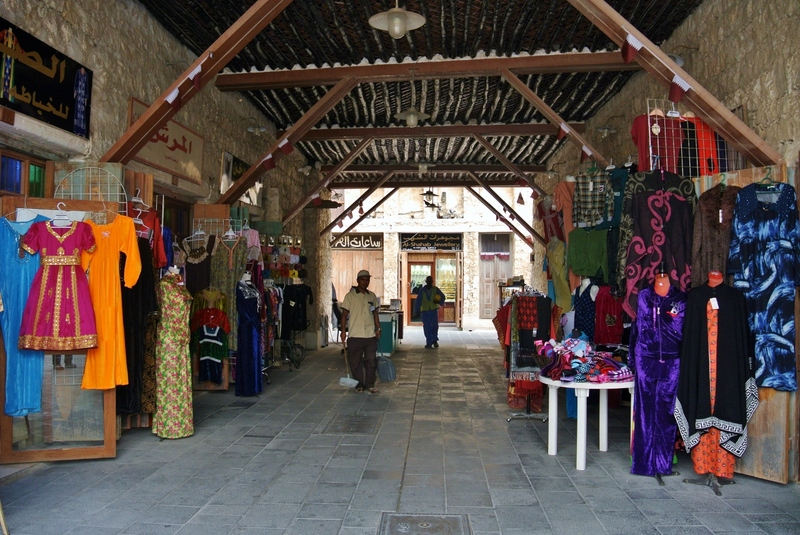 I love souqs, especially old ones, and will definitely have to visit this one! My extended family lives in Doha so I’m sure I’ll visit sometime soon. 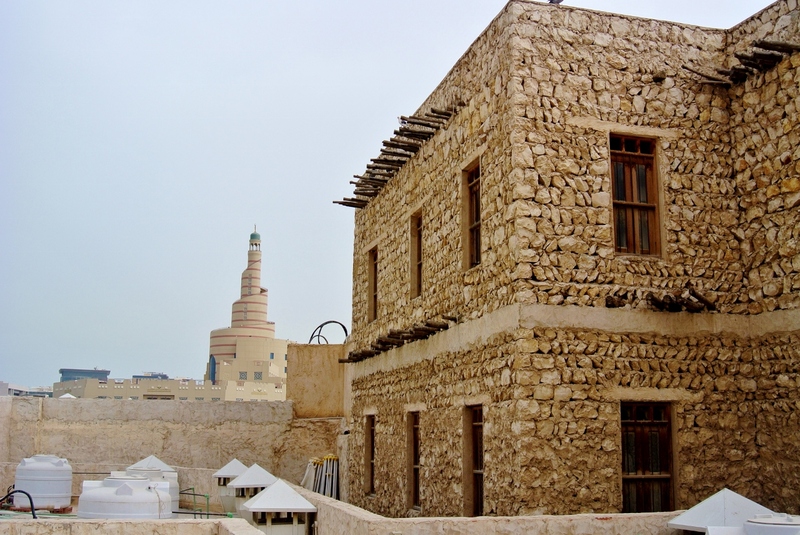 I really know nothing about Doha so it was great to see your photos and hear your story. It really does look a lot like the UAE. Thanks for sharing! Enjoyed seeing all the photos and getting some insight into Doha. I almost left the airport during my layover but I got a little shy even though I heard the country was friendly to solo females. Regretted it ever since! That was lovely light read. I love the use of photos to take us on the journey with you. They really do speak a 1000 words each. 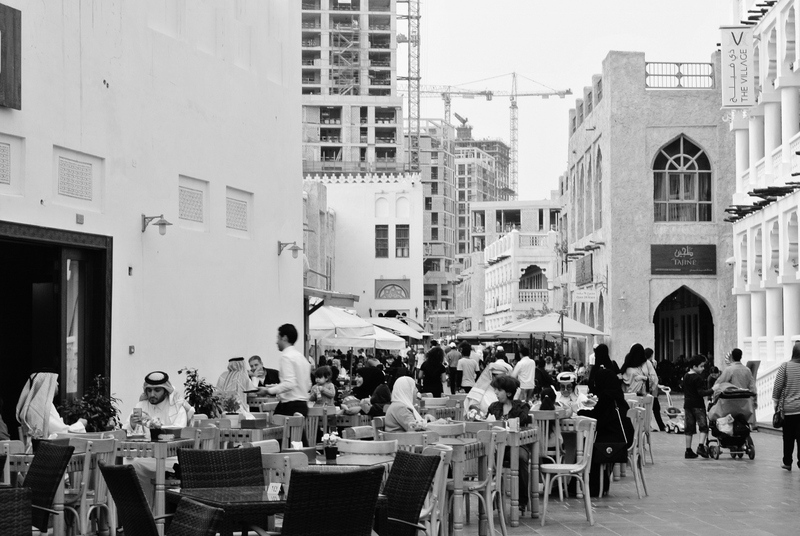 Love the pictures of the souq! It’s a beautiful place to show around when anyone visits Doha! 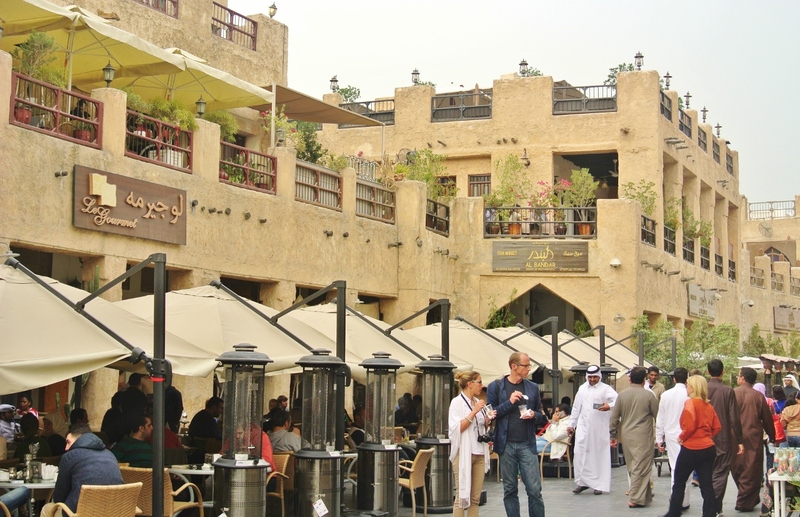 And not to mention the many wonderful places we can stuff our faces at the Souq! Love this. 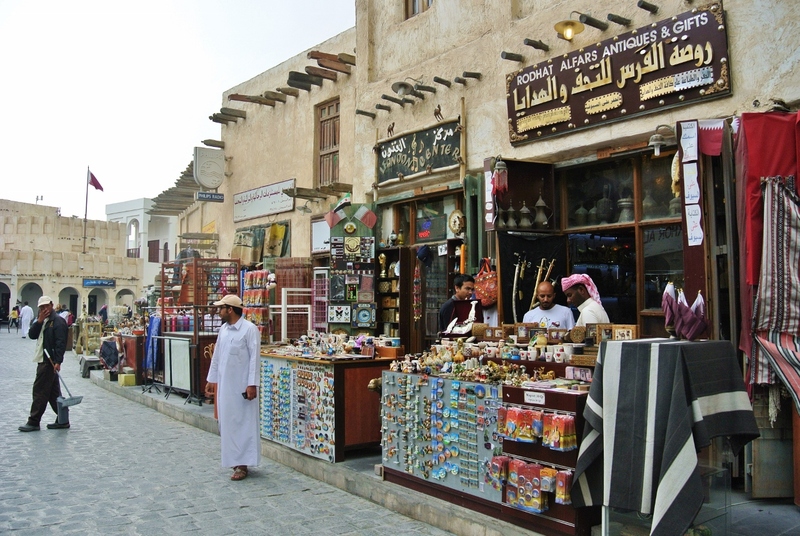 The souq is my favorite place in Qatar! Love your photos! 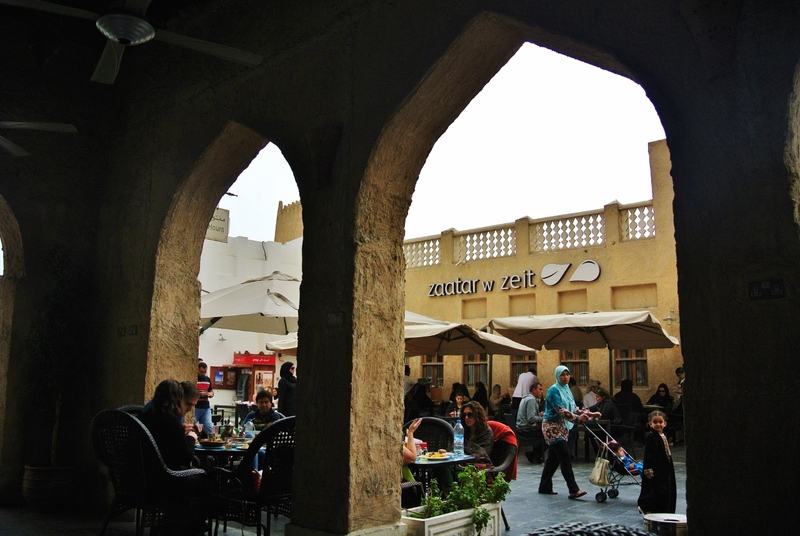 Souq Waqif is definitely a great place to be, especially for the architecture and food hehe. Too bad summer is coming and we wont be able to sit outside much soon! This is such a gorgeous post – I am in love with that photo with the birds flying up in the air. Great shot! 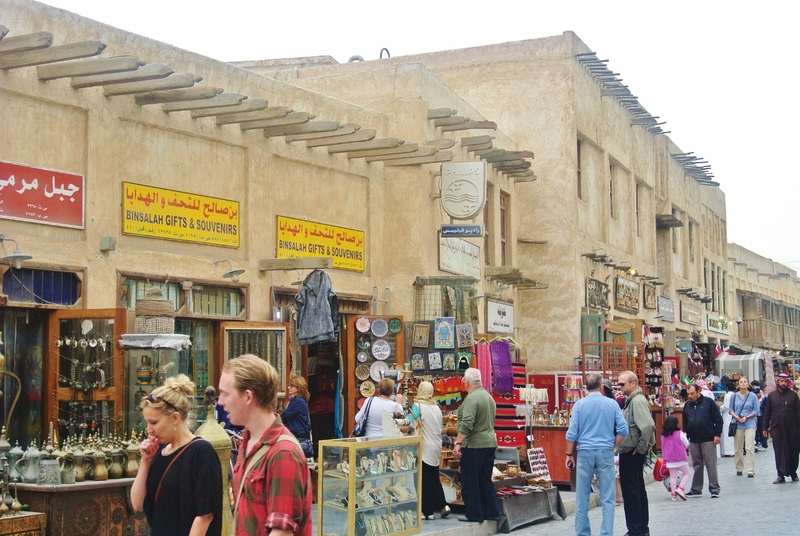 You’ve made me realise that it’s been a really long time since I visited the Souq. Need to get back there soon! I’d love to get lost in the many alleys here. How beautiful. It reminds me of Mykonos. Great to have you on the blog. Nice photos! 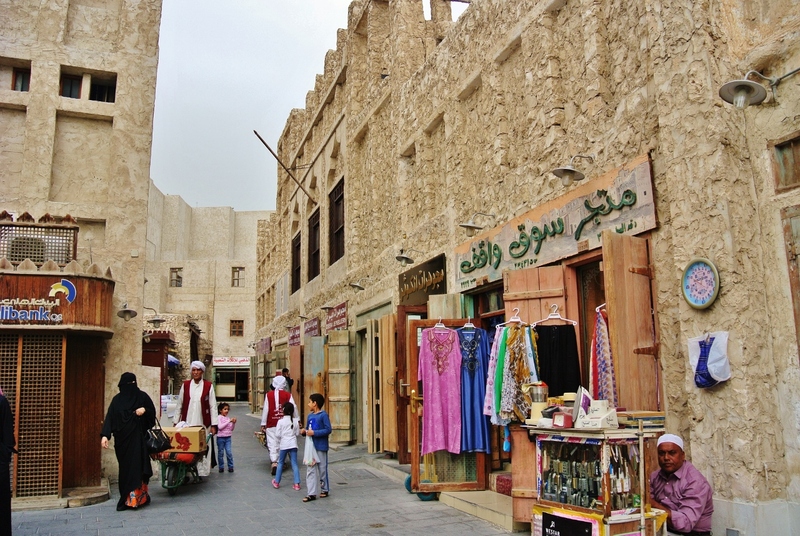 I really liked Souq Waqif too. The Museum of Islamic Arts is amazing too! Thank you Vicki! 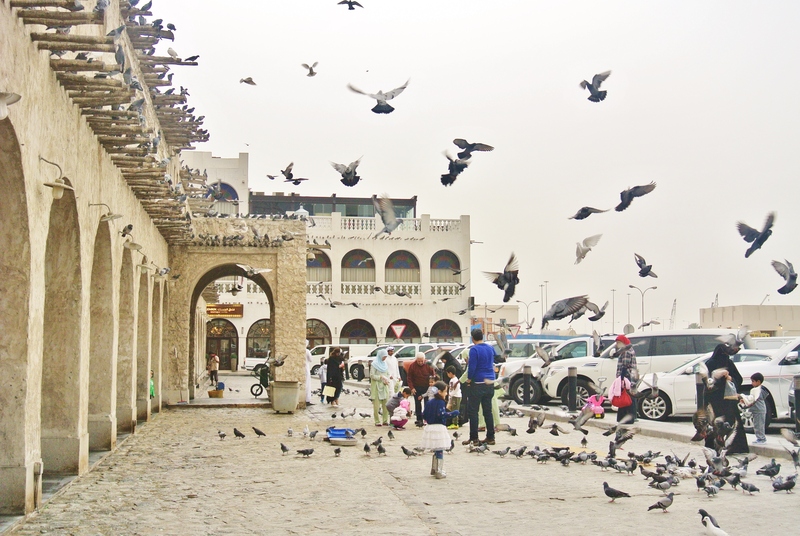 I fell in love with Souq Waqif too and it’s such a photogenic place that anyone can capture its beauty. I don’t really see myself with “photography skills” hehehe.